Here’s some pretty sweet business cards I designed for a friend of mine who has a transportation company. He’s been driving for Uber Black car since they arrived in Michigan a few years ago. These are actually the second version, he hands out a ton of cards, so he went through the first thousand rather quickly. On the second order he wanted something truly unique that would set him apart from all the other drivers. These certainly do that. These are not your typical cheap online discount biz card garbage. These business cards are printed on thick ultra premium 16pt “silk” stock with spot UV coating. What this effect does is give the card unbelievable depth and contrast. The graphical elements of the card (logos, text, etc) have a “raised” glossy coating, while the background is a silky smooth matte finish. This is definitely the only type of card stock for business cards I ever recommend to our clients. If you’ve never heard of Uber, you’re about to. Uber has revolutionized the taxi and limo industry in many cities around the world. This app-based on-demand executive driver service has a mystic about it, and a wildly fanatic fan base that’s growing worldwide. Well, over the past weekend they very quietly launched here in Detroit! started by a single tweet pic from one of the very first users Ndamukong Suh of the Detroit Lions, using the app. Apple will be aggregating its business listing data through Axciom, infoUSA, Localeze and Yelp. So, make sure your Yelp profile is up to date and “claimed”. This seems to be the easiest way for inclusion. But, if you’re a new business you’re going to want to make sure you’re in all the primary data sources anyway. In some cases you’ll have to pay, such as, having no “landline” that can be verified. I’m betting that Apple will set up some type of a “Business Resource Portal” eventually. It only makes sense that they will want to control that aspect of the iOS, since there’s billions of dollars to be made in a vertical they are completely new to. Apple Maps for iOS 6 announced officially at WWDC. So, the new Apple Maps was announced as expected. During the Keynote Tim Stevens said: “Beautiful, beautiful maps. Now, part of Maps is local search… we have already ingested more than 100 million business listings”. This is a game changer. Data has been collected through anonymous sources, and it looks as if this new opportunity can be utilized to its fullest through your own dedicated app that will be integrated and promoted inside the Apple map application! What does this all mean? Well, there’s 365 million iOS 6 enabled devices, that will now use a business listing data source other than Google to populate its Maps. We’ll update again here, as soon as we get to play with the iOS 6 beta that’s being made available TODAY! Hopefully we’ll have a better understanding of how exactly business will be able to edit and modify their “Apple Map business info card”, whether by dedicated app or through your itunes account perhaps. This is HUGE NEWS for the future of internet marketing. iOS6 will also have a dedicated app notification banner to notify all mobile users that you have an app for download, with redirect to the app store. Microsoft’s slick new commercial shows us an Internet Explorer we haven’t seen yet. The flashy, blink-and-you-miss-it commercial shows us a whirlwind of sleek images of Internet Explorer 9. All this is backed by a forward-thinking song by Alex Clare that combines soulful vocals with the bass-heavy throb of dubstep, one of the newest and most popular styles of electronic music. Regardless of your feelings towards Microsoft, one has to admit this commercial is exciting. Microsoft’s Internet Explorer browser has gotten a bad rap over the years. The browser ruled the Internet ten years ago, with 95 percent of the Internet’s patrons using IE5 and IE6. Today, the browser is used by only 34 percent of the web’s population. Can Microsoft climb back to the top rung with IE9? To many local business owners, dominating the world of search engines like Google and Bing might seem like it is way beyond the reach of a local brick-and-mortar company. 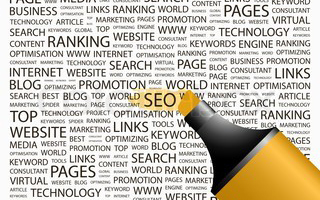 However, we’re going to take the mystery out of search engine optimization and show you how you can do it yourself. If that sounds too good to be true, just read on. By the end of this article, you’ll understand how search engines work and the simple, non-technical steps you can take to get your site showing up at the top of the search engine results page! Understanding how to take advantage of search engines all starts with understanding how people use them. Think about the things you search for. If you want to find a pizza place near your job by the Midway Airport, you go to a search engine and type in “Pizza Midway Airport” or something similar. How does the system decide what the closest match for your search would be? The web is constantly evolving. You’re probably familiar with the term Web 2.0. Even if you aren’t a web designer, you’ve probably noticed how the internet has changed for the better in the last 10 years. However, the evolution continues. Those who don’t adapt don’t survive. Let’s take a look at the most advanced technologies that are moving us toward Web 3.0. Developers and marketers take note: if you’re not keeping up, you’ll soon be losing customers. The internet has definitely changed over the years. The original world wide web was little more than static pages that could be displayed through a web browser. Sure, there were links to email and many sites had meaningful, regularly-updated information. However, developers had to spend a lot of time writing HTML code just to create a basic page. Users were little more than viewers of content. Much like a television program, there was little interaction between audience and source. This is where Web 2.0 came into play. The term was rather ambiguous and sometimes applied to a variety of changes. Basically, Web 2.0 marked a change in design that allowed users to contribute to sites. The advent of social networking, YouTube and other user-created content sites put the audience in greater control of the content. Where do we go from here?